Dietitian Picks! Check out these 30 healthy and affordable holiday foods to buy at ALDI to take the stress out of your holiday grocery shopping. Thank you to ALDI for sponsoring this post. 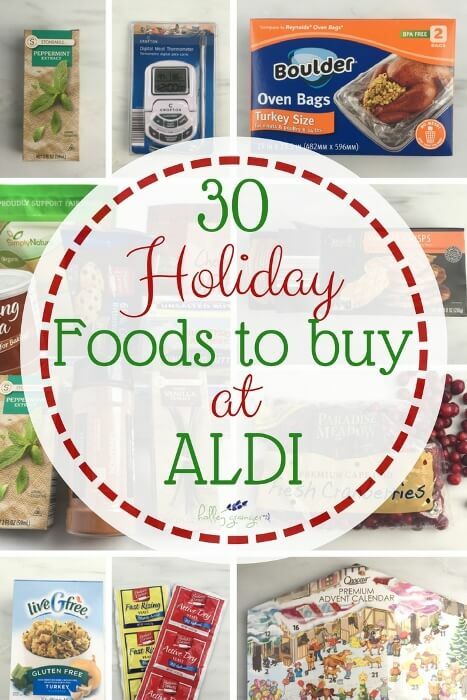 As a huge ALDI fan, I had a blast finding 30 healthy must-have items for your holidays. Hey, it’s a hard job but someone’s gotta do it! All opinions expressed are my own and all prices have been checked for accuracy but may vary by location. If saving money and eating healthfully during the holidays are two things that stress you out, breathe easy because I have your solution–30 holiday items to buy at ALDI. 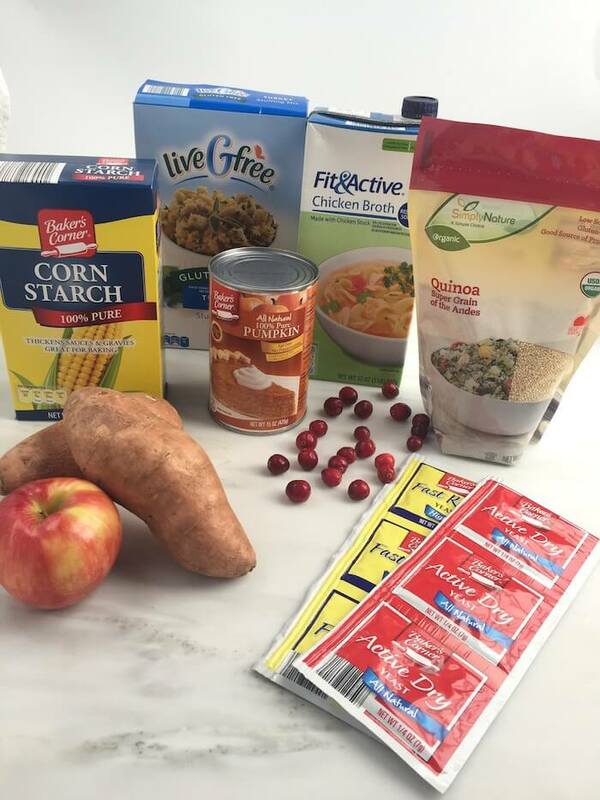 ALDI has dozens and dozens of nutritious and affordable ingredients and cool products to take the stress out of your holidays so you can spend more time enjoying the season. I shop at my local ALDI in Birmingham, Alabama, weekly but had the opportunity recently to tour a store and sample products with the ALDI team and dietitian at their national headquarters outside of Chicago. 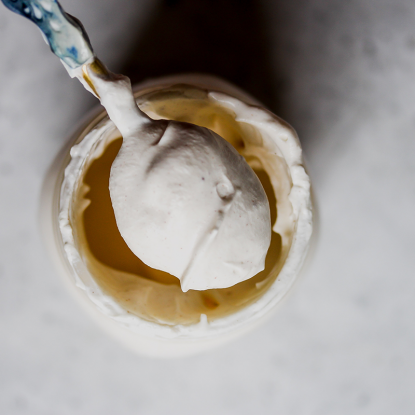 I learned so many inside secrets from that trip as to why ALDI can offer hundreds of high-quality ingredients at the prices they do and wanted to share my top picks for the holidays. I’ve chosen my top 30 holiday foods to buy at ALDI and categorized them into Baking Essentials, The Turkey, Holiday Sides, and Entertaining. Let me say that narrowing down a list to just 30 items felt next to impossible so throughout you’ll find links to fellow dietitian’s blog posts featuring some of their top choices at ALDI. You can’t beat the price or flavor of the spices and extracts at ALDI especially the cinnamon, pure vanilla extract and peppermint extract. I love using them in baked goods, smoothie bowls, and even play dough for the girls. Gasp, I know…a dietitian recommending butter. Absolutely! Now, I don’t mean throw stick upon stick into your mashed potatoes but unsalted butter (in moderation) is an important ingredient for holiday baking and you just can’t beat this price! If you didn’t catch it on the butter then you’re probably picking up now that I am not afraid of any ingredient. No, don’t funnel this sugar down your throat or say that a dietitian gave you permission to eat an entire bag of sugar. Sugar in any form is sugar (cane sugar, agave, maple syrup, honey, etc.) 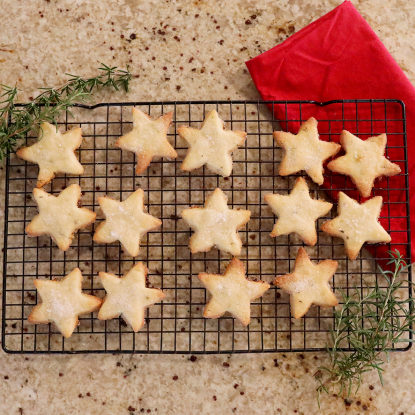 and sometimes holiday sugar cookies just work a bit better with traditional sugar. I like this organic cane sugar because it is fair trade certified and perfect for baking. How can a dietitian not pick eggs since they are such an awesome source of protein and other nutrients? While this ingredient may be expected, this is my change to say that yes, eggs, milk and meat from ALDI is top notch while being low in price. Two thumbs up! Use this seasonal item for snacking or for sweetening various baked goods and smoothies. They are delicious on a cheese board with fruit too! 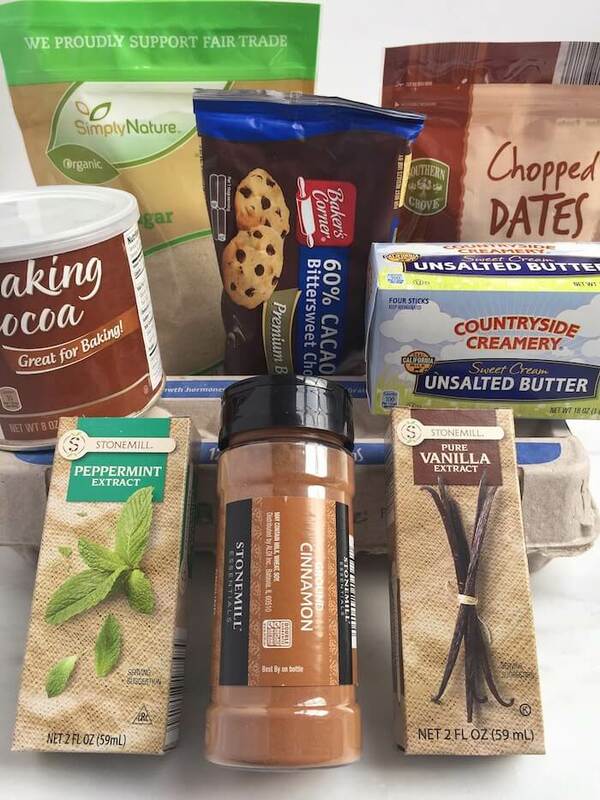 Flavor cookies, cakes, smoothies, hot chocolate and more with unsweetened baking cocoa. Start with unsweetened and then adjust the sweetness yourself with your desired sweetener. Stand mixers make baking so much easier but they are often extremely pricey. This heavy-duty stand mixer rings in at just a fraction of the price of other mixers and is sure save you time in the kitchen. Note that this is an ALDI Find so get it before it is gone! BONUS: ALDI carries everything you need baking (from brown sugar to flour to baking soda) for unbeatable prices. I couldn’t include the entire baking aisle on this list but I would be remiss if I didn’t mention that you should plan to pick up everything you need for baking at ALDI. 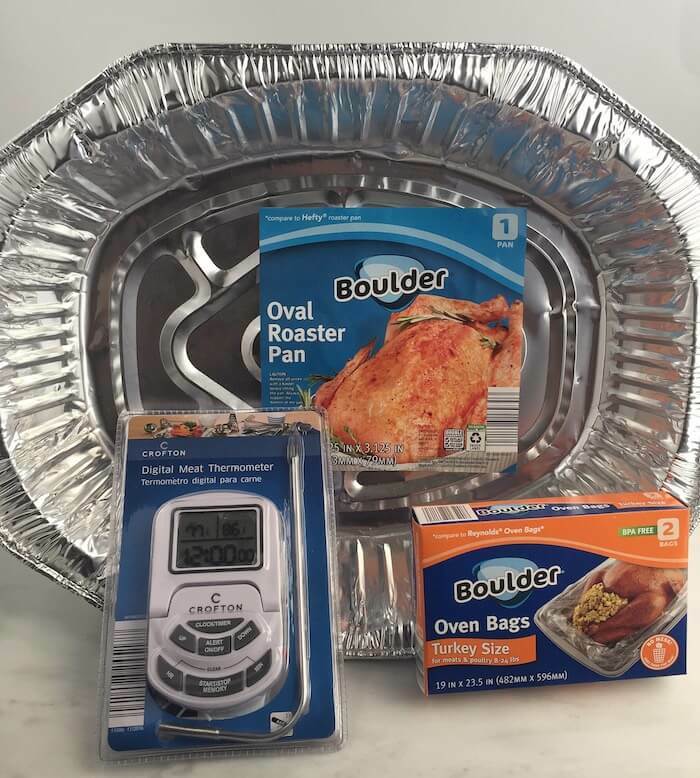 You know that aisle that has everything you didn’t know you needed until you walk down it and you’re like YES, I so needed new measuring cups or a Frozen coloring book (because the price is incredible), this is where I found this roasting pan and the oven bags (below). These are an ALDI FIND which means it won’t be there for long so stock up now because you can’t beat <$1 for a roasting pan. Also an ALDI Find, oven bags make clean up for from roasted turkey a breeze. I love that these are BPA free. This brand of turkey is tender and juicy and has no growth-promoting hormones or antibiotics. I am a huge fan of white meat (as are my girls) so I often choose a turkey breast over a whole turkey. You’re pumpkin pies with thank you when they see the price of this canned pumpkin. Note that this is the unsweetened fresh canned pumpkin. Not up for baking an entire pie? Try my Pumpkin Pie Smoothie Bowl for a yummy spin on breakfast. This seasonal item rings in at just the right price for thickening your giblet gravy and other sauces. Plus, it is gluten free! Keep this on-hand during the holiday baking season to make bread loaves for gift giving or for yummy pizza dough. Holiday food is often packed with sodium so choose a low sodium chicken broth when preparing various soups and sides and boost the flavor with fresh or dried herbs and spices. These snack-size apples are the perfect size for my girls or for making our favorite Apple Donuts. However you choose to use your fresh sweet potatoes, why not pick up an entire bag for less than a dollar! I love making Sweet Potato Toast for breakfast or snack. The pomegranates I have seen in other grocery stores have cost upwards of $4.00 per pomegranate. You can’t beat just 99 cents for eating or for decorating. Make your own fresh cranberry sauce to serve alongside your turkey or try your hand at a simple cranberry dip with these fresh cranberries. Stock up now while they’re available and freeze for later. Try quinoa in place of cornbread, bread or rice this year for a twist on the classic stuffing. Make sure to check out all of the cracker selections available at ALDI because they have crispy buttery rounds, wheat crackers, flavored artisan crackers…all for prices that beat the grocery store. I especially love the thin crispy crackers flavored with rosemary as is or paired with cheese. 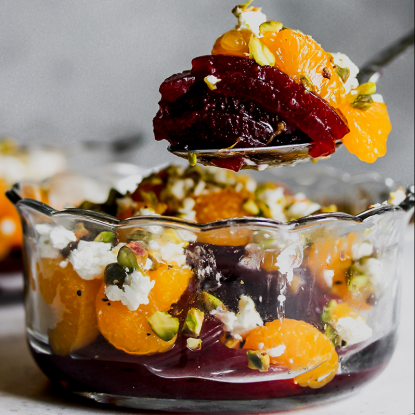 Display a variety of flavors such as honey, plain or garlic & herb when entertaining along with some crackers and grapes for a delicious and easy appetizer. All my favorite fall flavors wrapped into a single block of cheese! This seasonal item is a fun twist on a cheese board and is delicious in a grilled cheese sandwich made on challah bread or cinnamon raisin bread. The wino is me thinks that there is nothing better than sipping on a glass of award-winning wine that tastes like it came from a $30 bottle of wine but that only cost me $12.99. Such is the case with ALDI’s Broken Clouds Pinot Noir. What is even more exciting is that ALDI offers quite a few top quality wines for under $10 so make sure to peruse the wine selection and stock up before entertaining. Who said “entertaining” is only about adults? More often than not it is about entertaining my own children. 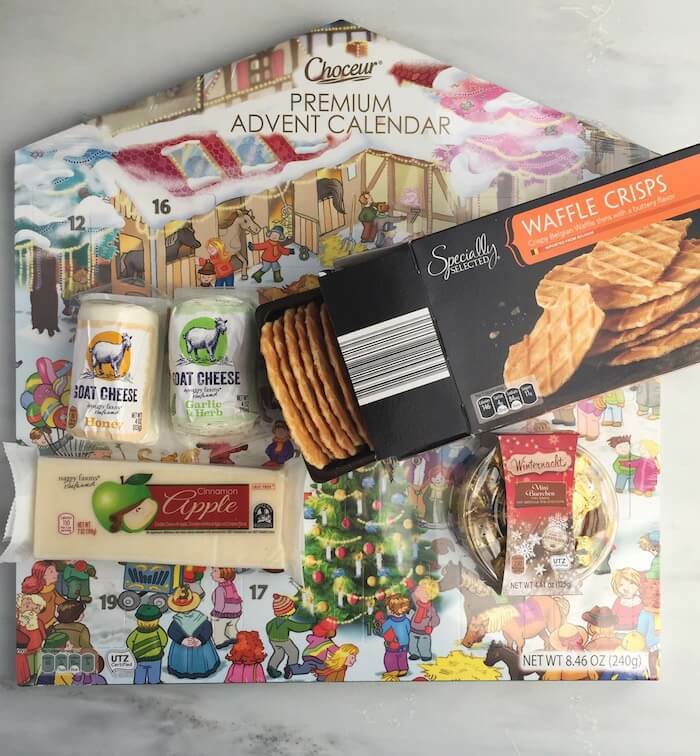 I found this Advent calendar in the seasonal finds and while this one was $4.99 and the other one available was just $0.99, I knew that this calendar contained imported German chocolate so here’s hoping that the girls will share a bite with Mommy each day during Advent! BONUS: Want more tips for top ingredient and wine choices from ALDI when entertaining? My colleague and fellow dietitian, Regan Jones, has you covered for entertaining on a budget. Let me hear from you!! Subscribe to my YouTube channel for weekly videos featuring Mommy Dietitian in the Kitchen, Holley Grainger, and her cutie kitchen helpers. Subscribe to my newsletter, Holley Kitchen Notes, to stay up-to-date on live broadcasts, my favorite recipes and family meal ideas. AND connect on Instagram and Twitter for daily lunchbox inspiration and more! Also, be sure to check out ALDI on Facebook, Instagram, and Twitter. I love Aldi! Thanks for the tips!!!! Love your stuff-always so helpful! Wow! So many amazing deals! I really have to start shopping at Aldi more! Yes! I hope there is one close to you! Thank s so much for this round-up of awesome Aldi finds!!! I would love to hear your faves too! I know you have some! We love Aldi, and I totally agree about that aisle that has everything you didn’t know you NEEDED until you go down there… gets me every time! We love Aldi and couldn’t shop on budget without it. Our entire family shops there. I agree! They have everything the family needs! Thank you for sharing!! I love Aldi!! And as a family of 5 now we cut our grocery bill in half!! It really does make such a huge difference! I’ve got it! Thanks so much! Yay Aldi! I pretty much buy everything you’ve mentioned and I love the chocolate chips. I recently added them to some healthy pumpkin bread and between my 3 yo and I, it didn’t last long. That sounds like our house! If I base it, we devour it! I completed all steps. @mandaoverturf. I love Aldi, great for produce! Fantastic! I’ll make sure all of your entries get added! That is too funny! My friend’s daughter was a box of donuts and it was precious! I agree and for such affordable prices too! My mom loves shopping at Aldi so I would give this to her! I like you on Facebook and shared the FB post.